Presentation of research results, reviews of existing results (including empirical or theoretical studies, policy reviews, comprehensive case studies), and project results that are in a conclusive phase. Work-in-progress, initial research results, projects in early stages of development, and case studies. Poster presentations will be themed in related sessions. Student researchers should indicate whether they plan to participate in the Research-in-Process competition. Presentation of the state of your research and description of a problem you would like to address in the symposium. It should include the research title, research objectives/questions and methodology. Submissions undergo a double peer-review and are evaluated based primarily on originality, significance and quality of contribution, and relevance to workshop themes. Unique and innovative contributions that do not directly align with the workshop themes will also be considered if they are believed to bring benefit to delegates. Accepted presentations (including posters) will be published in the Conference Proceedings. Registered delegates will have electronic access to the full version of contributions prior to the workshop. Publications will be openly accessible after the Workshop. Selected authors will be invited to submit to a special issue of EURODL. 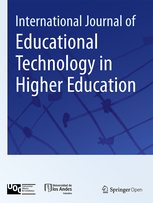 Awarded and accepted papers can be submitted to the International Journal of Educational Technology in Higher Education (ETHE) an Scopus indexed journal edited by UOC and Universidad de Los Andes, and published by Springer. The Ulrich Bernath Foundation for Research in Open and Distance Learning will support FIVE young scholars or teams of young scholars with a grant of 600 Euros for successfully submitting a conference paper to be presented at the EDEN Research Workshop in Barcelona in October 2018. Two weeks after the deadline for conference paper submissions the competitiors will receive a note from the Ulrich Bernath Foundation via EDEN Secretariat about the winners of the five grants. The grants will be handed out individually and in cash in Barcelona on Oct. 26th or if wished by bank transfer after the Research Workshop. Eligible for the Young Scholars grants are degree-programme and doctoral students, who individually or in teams submit conference papers that are originated for the EDEN Research Workshop in Barcelona and which will be presented by young scholar(s). Team work with senior scholars are accepted, however it must be declared that the major part of the paper has been authored by young scholar(s). Young scholars, who apply for the grant will take part in a competition, and the best five papers will be awarded based on evaluation results that follow the standard evaluation criteria for EDEN’s Best Research Paper Award, which are: The paper deals with a research question; rigorous examination/research methods are applied; findings, results and outcomes are convincingly presented and critically examined; conclusions are thoroughly discussed (including aspects like applicability, transferability, and/or further research; literature is reviewed against the state of art. Ultimately winners of the young scholar(s)’ grants may also become winners of the EDEN Best Research Paper Award. 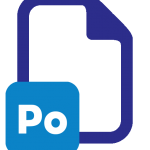 Paper proposals should not exceed six A4 pages, including the 10-15 line summary, figures and references, using the format guidelines here. Poster submissions should not exceed four A4 pages, using the same format guidelines as above. Authors of posters accepted for presentation will be required to prepare a max. A0 (1189mm*841mm) size poster for display. PhD abstract may have between 300-350 words and participants should use the following submission form.